Dow’s GMO corn and soy are genetically-engineered to resist 2,4-D herbicide meaning higher “Agent Orange” herbicide use. Remember Agent Orange, the chemical from the Vietnam War that caused so many health problems and birth defects? If Dow AgroSiences has its way, one of the main ingredients of Agent Orange will be sprayed in massive amounts all over the U.S.
Tell the U.S. Department of Agriculture (USDA) to refuse approval of the GMO “Agent Orange” corn and soy! Unfortunately, this chemical is already being used in industrial agriculture. But its use is limited because it kills so many plants—farmers have to be careful about how and when they spray it. If Dow’s GMO crops are approved, however, farmers will be able to spray 2,4-D throughout the growing season to kill weeds without damaging the GMO crops. This means a lot more 2,4-D in the environment and as residue on your food! “Agent Orange” corn and soy are making their way through the approval process, and this is the last chance the public has to submit comments to the USDA. We need to submit more comments than ever before to stop these crops from unleashing a new toxic assault on our health, our communities, and the environment. 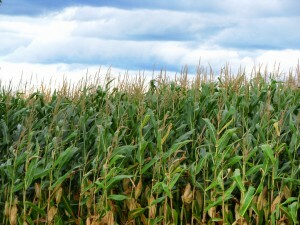 Take a moment to tell USDA to refuse approval of these new GMO corn and soy crops! Submit comments to USDA for Docket ID APHIS-2013-0042. The deadline for comments has been extended to midnight Tuesday, March 11, 2014 (11:59 p.m. Eastern). Please be sure to personalize your comments. Explain why this issue is important to you. Are you a farmer whose crops would be put at risk by 2,4-D drift? A consumer who is concerned about 2,4-D residues on your food? See Talking Points and the Sample Comment below. Even a few sentences make a difference! 2. If you are attaching comments, click on “Choose files” to select and upload your document. 3. Enter your “First Name” and “Last Name”. 4. Enter your contact information; city, state and country are required. 5. Click “Continue” to see “Your Preview” and verify the information you entered; you may click “Edit” if you need to make changes. 6. Click the box “I read and understand the statement above” then click “Submit Comment”. If you have a booth at a farmers market or are going to a conference this month, you can distribute the Statement of Opposition and have folks sign the hardcopy petition. These documents include the request also for USDA to reject Monsanto’s GMO soybean and cotton, genetically engineered to resist the herbicide dicamba. Share the Talking Points in conversation. More herbicide-resistant “superweeds” are expected if Dow’s new GE seeds are introduced due to the surge in use of 2,4-D. We’ve already seen that widespread planting of Monsanto’s Roundup-Ready seeds has resulted in the development of “superweeds”—now covering more than 60 million acres of U.S. farmland. The 2,4-D herbicide is a threat to non-target plants, particularly specialty crops (like grapes, tomatoes, beans and sweet corn) and non-resistant corn and soy. The 2,4-D herbicide is likely to drift. Both spray drift and volatilization drift can devastate crops, adjacent ecosystems and landscapes. This poses a serious threat to rural economies and farmers growing vulnerable crops. Conventional farmers will lose crops, while organic farmers will lose both crops and certification, resulting in an economic unraveling of already-stressed rural communities. 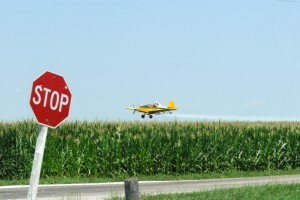 Herbicide 2,4-D drift threatens the health of rural communities. Numerous health studies have established links between 2,4-D exposure and birth defects, hormone disruption and cancers like non-Hodgkin’s lymphoma. Children are particularly susceptible to its effects. I am writing to urge the USDA to deny Dow AgroScience’s petition for non-regulated status for its 2,4-D-tolerant corn and soybean varieties.